Despite having different motives, marketers and media companies have long been joined at the hip. Marketers have relied on media companies for coverage, and media companies have relied on marketers for new content ideas. Social media has undoubtedly challenged traditional media companies, and the resulting media fragmentation has simultaneously made it harder for brands to reach consumers as well. The result has been an even tighter relationship between the two parties, with content serving as the cornerstone. However, the marriage between the two parties runs much deeper than just that. Below are some of the other challenges each has been forced to confront as well. For marketers and media companies alike, copyright law has proven to be a formidable adversary. Both media companies and marketers rely on creative content to capture the attention of their audiences. Given that the content is designed specifically for the public, unscrupulous practices in regard to copyright are quick to be noticed and denounced publicly. This year alone, there have been a number of copyright infringement lawsuits filed against both parties for inappropriate use of certain types of media or ideas. Target was accused of using an unlicensed font; dog company Woof-Tang Clan was sued for infringing the name of a famous rap group; Trump Organization was implicated in using a photo without authorization; and CBS was sued for using a copyrighted photo as well. And the resulting fines are hard to take lightly. “With social video exploding, fans today aren’t thinking about copyright ramifications when they create clips or mashups of YouTube videos. For the original content owners, this can be counterproductive, since they don’t get any attribution,” said Murali Raju, CEO of HashCut. While such misappropriations are, more likely than not, unintentional slip-ups, they are nonetheless damaging. 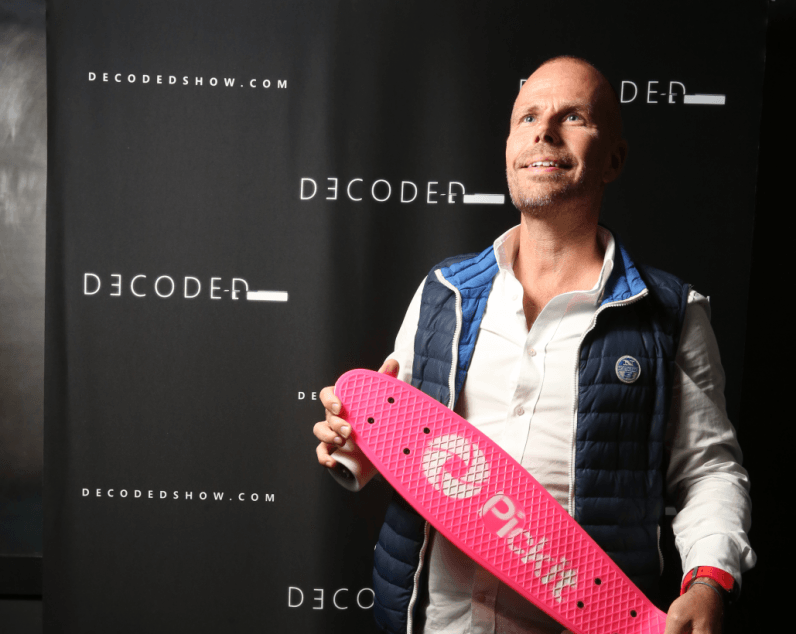 Mathias Björkholm, Co-CEO of stock image startup Pickit, explains that the reality is that employees often lack adequate knowledge about copyright regulations to know what can and cannot be used. And at the end of the day, it’s the company that’s on the hook. This is an issue that impacts both media companies and marketing alike. Employees should be trained in which photos are free game, and more, how to properly attribute them if the artist requires. They should also either use solutions to help properly find and use the right photos, or be shown examples of copyright cases – to well, understand that the artists who own the photos do actually care if they’re being used and that there are consequences. And while this might sound a bit dry, it doesn’t have to be. Just look to the case between photographer David Slater and the monkey Naruto. PETA sued Slater on Naruto’s behalf, claiming the photo rights belonged to the monkey. Why? In his first selfie, Naruto was the one to hit the shutter. While it’s easy to view email communication as a bit of an old dog, it remains to be a primary method of communication for people across the world. In fact, an estimated 269 billion emails were sent and received each day in 2017 — a number that is expected to grow to nearly 320 billion by 2021. Given the numbers, email, perhaps unsurprisingly, remains a primary tool for both marketers and media companies. Marketers rely heavily on email marketing campaigns, and media companies depend on email as a source of communication and tips. However, both parties are being met with the challenge of increasingly sophisticated spam filters that divert important messages away from the inbox. Earlier this year, Google announced that its machine learning algorithms were capable of detecting 99.9 percent of spam and phishing messages, which — according to the company’s own data — account for 50 to 70 percent of all messages received. And while the volume of spam as a percentage of total email traffic has decreased over the past few years, the increased scrutiny of spam-detecting technology has posed the risk of inadvertently closing important lines of communication with customers and partners. To keep out of the spam folder, consider sending out a personalized email from one of your company leaders. The New York Times recently sent out an email from New York Times Editorial Director Jodi Rudoren, which was essentially a letter to readers regarding her favorite stories. The last paragraph reads, “I know your appreciate this work, but you may not realize how expensive it is to produce,” She then puts out a call to subscribe. Not only did the email come across as genuine, but an email from Rudoren certainly didn’t end up as spam. For marketers and media companies, this has necessitated the implementation of other strategies — particularly, a heavy focus on social media channels. Brands and even traditional news outlets have recognized the importance of embracing social media. Just recently, The New York Times issued an updated set of guidelines for its journalists’ use of social media, recognizing that “Social media plays a vital role in [its] journalism.” Finding a way to avoid spam filters remains a key challenge for both media and marketers. Nevertheless, the increased adoption of social media channels has not been the swiftest of transitions for marketers and media companies. Anxious to reach their audiences, many have found themselves bombarding followers with content and notifications to the point of annoyance. The excessive social media noise caused by the flocking of brands and media companies to social networks has actually prompted many individuals to turn off notifications from the accounts they are following, or from the applications altogether. As a result, companies’ outreach strategies often turn out to be fruitless endeavors. In an even worse case scenario, the audience may actually unfollow a brand completely. According to a 2016 study by Sprout Social, “While 86 percent of social media users follow a brand, nearly 60 percent of them are annoyed with too many promotions by brands,” causing 46 percent of people to unfollow a brand entirely. An additional concern for marketers and media companies is that 41 percent of people will unfollow a brand if it doesn’t share relevant information. Put simply, brands and media companies must only publish content they believe their audience will find useful. At our own company we send out a monthly Investor Newsletter, which features 7-10 clients that are looking for funding. So it’s not only a bonus for the clients featured, but also helps investors on our list learn more about up-and-coming companies. The key to overcoming challenges will be continuing to innovate. Following experts like Sean Ellis, who coined the term “Growth Hackers,” can provide deep insight and recommendations for overcoming these obstacles and continuing to add value in the market, whether as a media entity or as a marketer. This article was Co-Authored by Zachary Laval.